Whether you’re a long-time resident or a newcomer to our beautiful state, there’s no doubt that there are many things to celebrate about living here. One big thing people appreciate is the fact that Texas does not charge state individual income taxes. People also love getting to know the friendly, helpful folks who live in these parts. Visitors and new residents alike quickly fall in love with our wide, open spaces, our mild winters, and the abundance of trees many parts of our great state enjoy. What’s your reason for being here and choosing to stay here? If you’re ready to become a proud Texas home owner, let us be among the first to congratulate you! We believe you’ve made a wise decision. Just know that if you’re a first-time home buyer, or you find yourself with a poor credit history, our team at Unrivaled Realty Group is here to help you. We are dedicated to turning your homeownership dreams into reality! You may be asking yourself this question: What are some of the best features available in Texas homes? We’ll go over them in today’s blog post. Especially if you’re moving here from a state like California or New York where home prices have escalated dramatically in the last twenty years or so, you’ll be pleasantly surprised at what your money can buy here in Texas. It’s common for our homes, whether new ones or existing properties, to boast large floor plans, and often open floor plans, too. If you’re looking for a larger home that’ll fit your current life situation and while offering plenty of room to grow, you’re in the right state! Like Texas itself, the homes here are large. 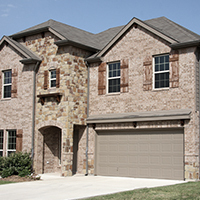 If you want a sizeable floor plan with plenty of bedrooms, bathrooms, and beautiful living spaces, we have quite a few Texas homes to show you! As you drive around our neighborhoods, you’ll notice that in many parts of our state, it’s common to see homes that have at least some stonework or brickwork on the exterior. Using bricks or different types of stones, including flagstone, is a widespread practice in Texas. These homes are not only sturdy, they’re also attractive thanks to the attention to detail paid to both the interiors and the exteriors. Need ample space for yourself, your kids, and your family pets? In Texas, it’s not a problem! Many of our properties, including what you’ll find in the Harker Heights and Killeen neighborhoods, come ready with large yards. This means you’ll have plenty of space for everyone to play in, with areas left over for outside entertainment zones, new playground equipment, vegetable gardens, plenty of flowers, shade trees, and perhaps even a dog run or room for your RV. Texans love to cook, and our kitchens reflect this passion we have for great home cooking shared with neighbors and friends! If you want a kitchen with all the amenities and features you and your family will ever need, let us know. We can show you great properties with well-equipped kitchens you’ll love! Many Texas homes offer enormous picture windows, because we love looking out at nature! Big windows are important to our residents, so they appear prominently in our homes. Additional features many properties boast include high ceilings, large tubs, and amply-sized living spaces. What Features And Amenities Are You Looking For? We’re certain you have your own list of features and amenities you want in your new Texas home. Here at the Unrivaled Realty Group, we pay attention to what our clients want. 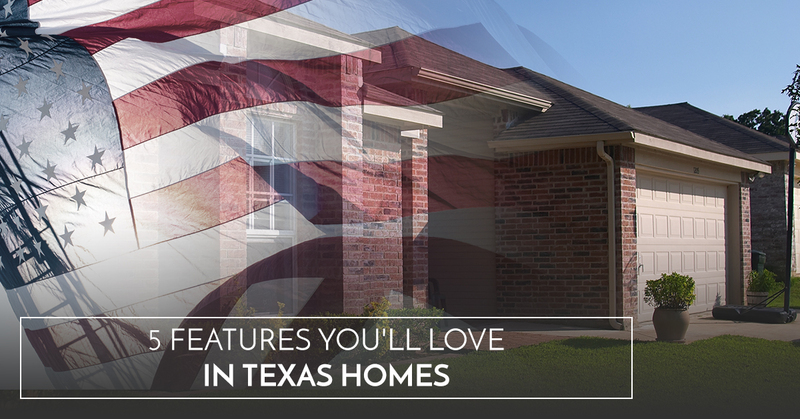 When we show you houses for sale in Texas, we’ll make sure to include ones with the features you want! Our team is ready to show you beautiful properties in Harker Heights, Killeen, and beyond, including lakeview and waterfront homes. If you’d like to sell your home, we’d like to help you get the best price possible. We’ll help prepare your home for sale and show it in the best light possible! Whether you want to buy or sell, we have the Texas real estate market knowledge you need on your side for a successful transaction. Give us a call to get started with your home search today.